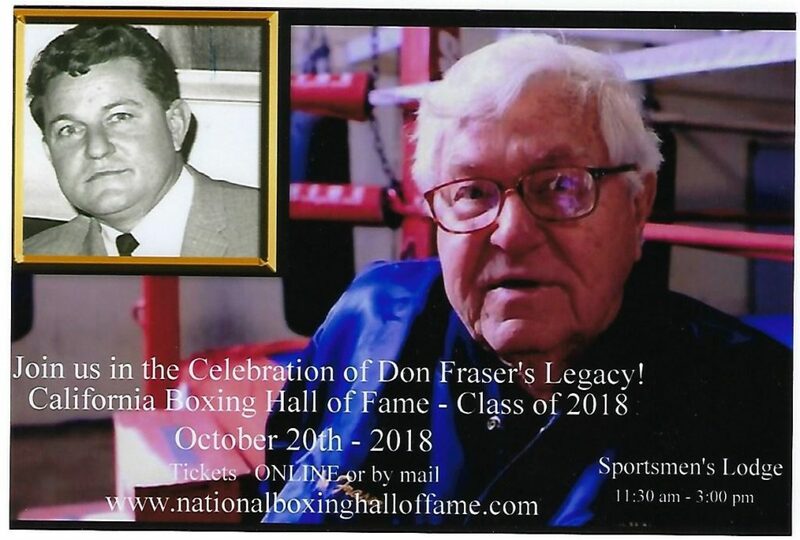 Don Fraser, a friend and mentor for many years, will be honored in a special “Salute To Don Fraser” this Saturday, October 20, 2018 by the National Boxing Hall of Fame. Also honored will be the latest class of 2018 inductees. The gala event will be held at The Sportsman Lodge, 12825 Ventura Blvd, Studio City, California. I consider Don Fraser to be the “Mr. Boxing” of my era. 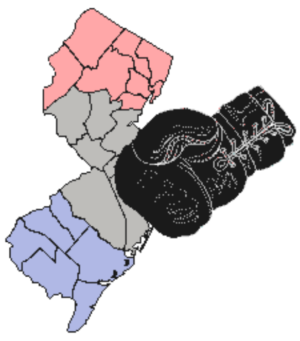 His involvement in boxing ranges from that of a promoter, to matchmaker, publicist, writer, corner man, and Executive Officer for the California Athletic Commission. 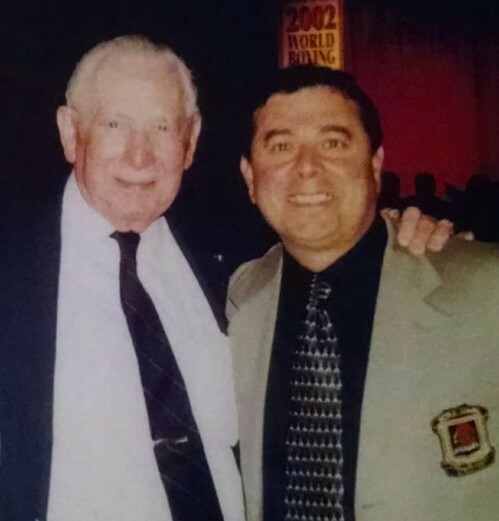 In addition, Don recently retired as President and Founder of the California Boxing Hall of Fame. He truly is a wealth of boxing information. 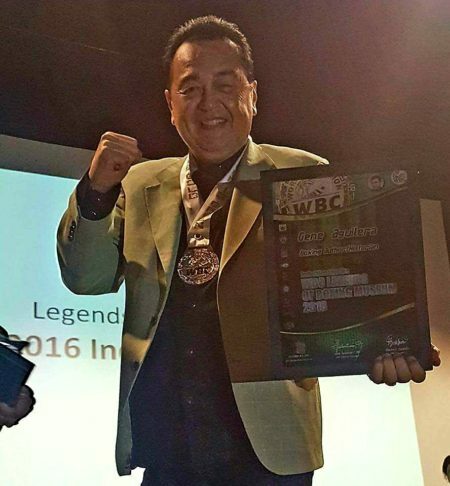 On December 3, 2016 my friend Gene Aguilera was inducted into the WBC World Boxing Council Legends Hall of Fame. It was an extreme honor for me to be his presenter, and it was such a deserving honor for Gene. 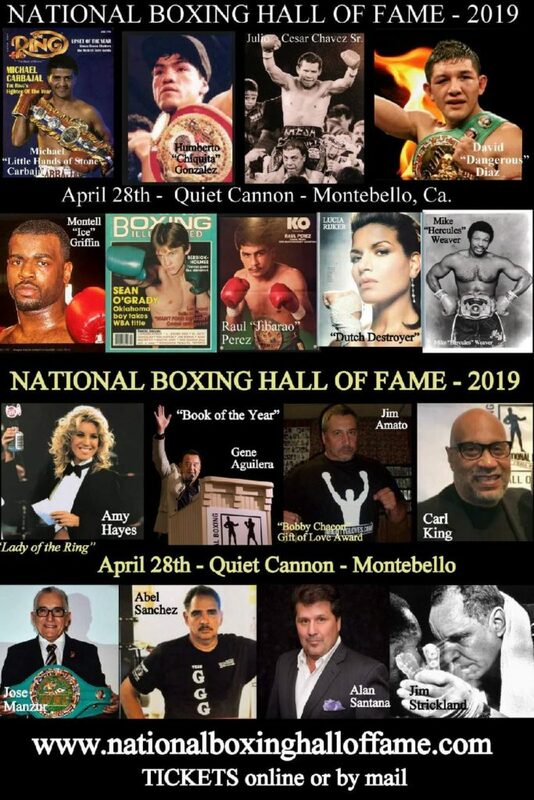 In prior years, with the World Boxing Hall of Fame and California Boxing Hall of Fame, I have been a presenter for Rodolfo Gonzalez (WBC lightweight champion); Ernie Terrell (WBA heavyweight champion); Eddie Perkins (WBA junior welterweight champion); Eddie Futch (arguably the greatest trainer of the 20th century); and Harold Lederman (HBO World Championship Boxing). But, it is Gene that is so very special in my heart because our roles were reversed – he was my presenter upon my induction on May 17, 2015. *** FLASHBACK – this article originally appeared on dmboxing on July 21, 2011 … In Memory of Dub Harris (R.I.P.) I am re-posting in his honor. Last month the boxing world lost a friend, Maurice “Dub” Harris, who passed away peacefully on June 27, 2011 at the age of 94. He was a highly decorated veteran of the United States Army serving in both World War II and the Korean War. 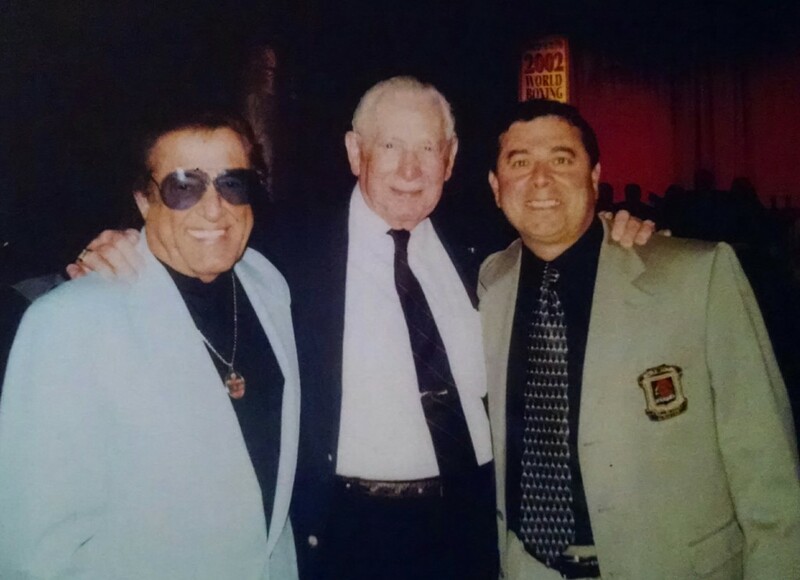 Dub, along with Everett Sanders (original founder), Charlie Casas, and Gordon Del Faro, was one of the charter members of the World Boxing Hall of Fame that started in 1980. Dub served five terms as president (1982), (1985), (1989-1990), (1995-1996), (1997-1998). 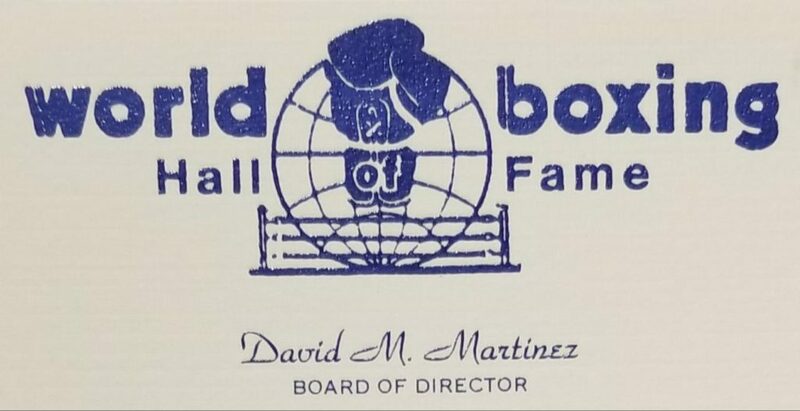 Dub remained active as Chairman of the Board and President’s Advisor until failing health in 2005 forced him to depart the World Boxing Hall of Fame after twenty five years of dedicated service with the goal to always strive for excellence. 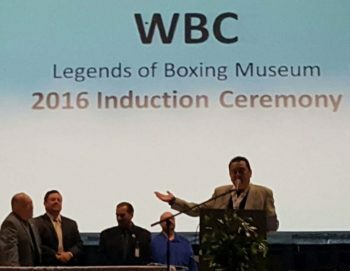 Come join a great boxing event – The WBC Legends of Boxing Museum 2016 Hall of Fame! 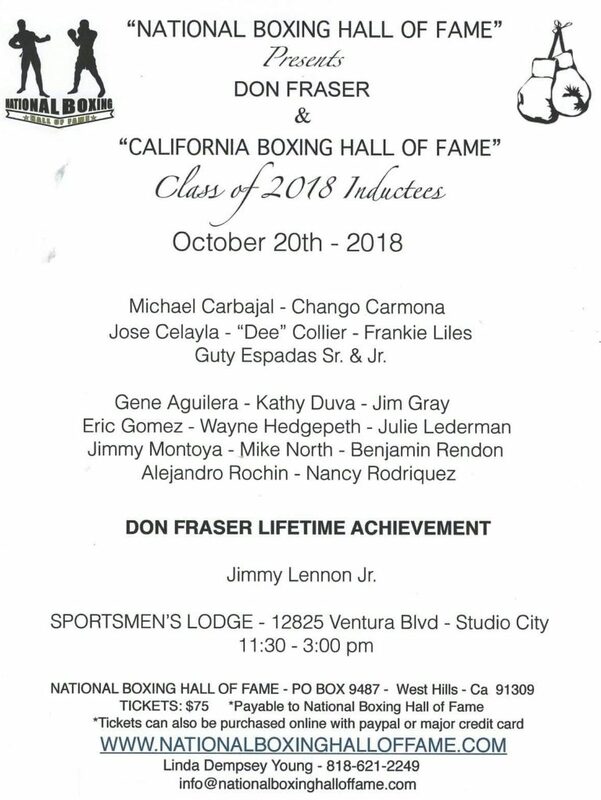 This is a premier boxing hall of fame venue that honors boxers and other boxing related personnel for their outstanding accomplishments. 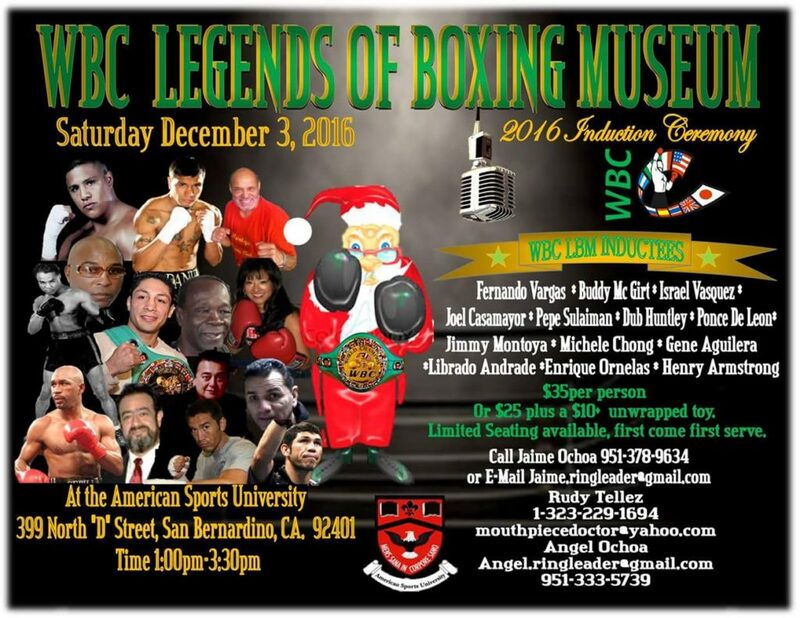 This years’ show will take place on Saturday, December 3, 2016, 1:00pm, at the American Sports University, 399 North “D” Street, San Bernardino, California 92404.